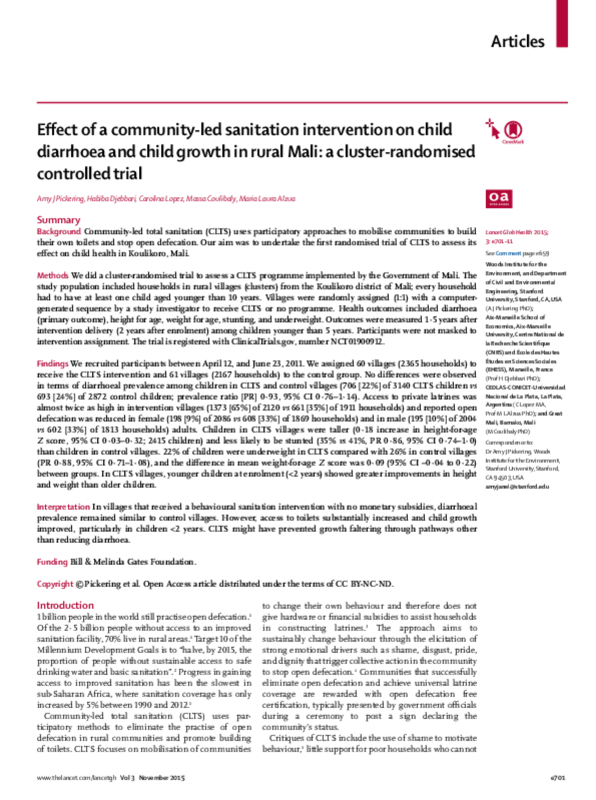 This study is the first scientific trial to show that child growth improved when communities in the Republic of Mali, in West Africa, participated in a community-led sanitation program. While rates of diarrhoeal disease did not change, there were improvements in height and weight of children who were less than one year of age at the study's onset. Copyright 2015 The Lancet Global Health.